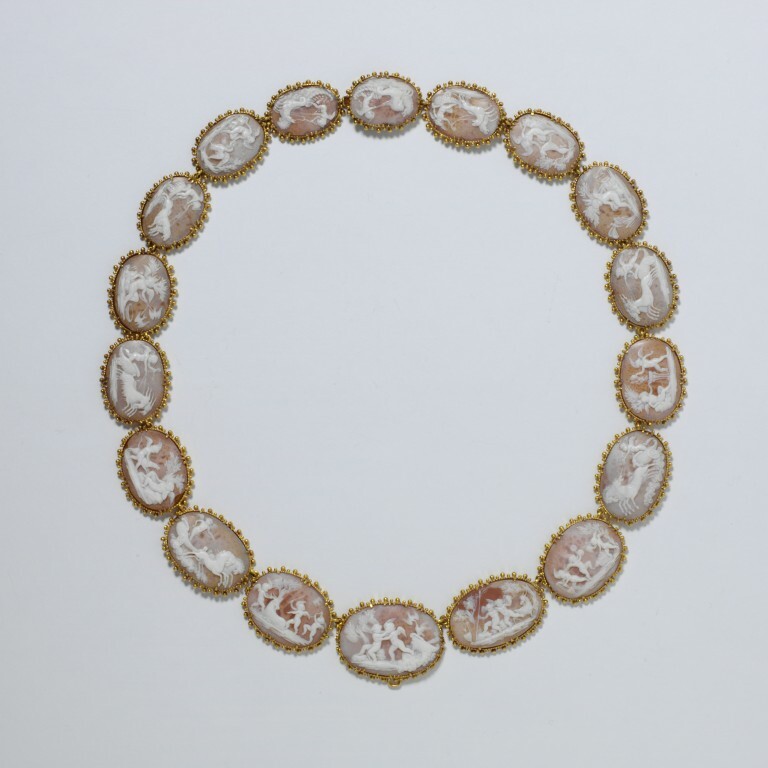 The cameos in the necklace show subjects such as cupids, pairs of doves and the altar of love. Jewels with portraits or symbols of love, such as butterflies, doves and cupids, were very popular. Sentimental jewellery was an outward expression of emotion. It was used to declare affection for family and friends, passion for a lover, and loyalty to a monarch or a cause, also religious devotion and grief. 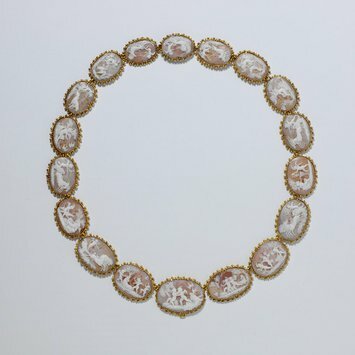 Necklace with shell cameos of putti, mounted in gold. A pendant is missing from the necklace. Necklace with shell cameos of putti, mounted in gold, Italy, ca. 1810.